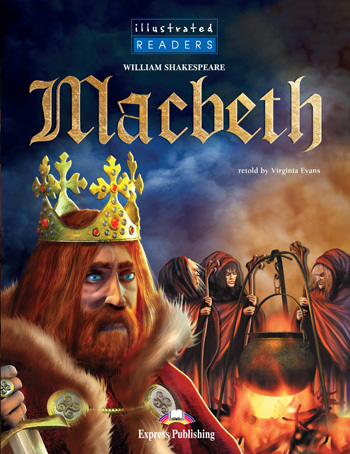 Macbeth is a powerful Scottish thane (lord), a brave general and a cousin of King Duncan. But this is not enough for him. When three witches tell Macbeth that he will be king of Scotland, he thinks about making it come true – by killing Duncan. His conscience prevents him, until his wife persuades him to do it. He becomes king, and finds it is easier to get power than keep it. The witches show him visions that make him believe he can´t be beaten, even though he makes more and more enemies… Then the visions come true, in a way he doesn´t expect.